Citizenship and Naturalization | Chicago Immigration Lawyer | Bankruptcy Attorney | Personal Injury Law Firm | Ebere N. Ekechukwu & Associates, P.C. U.S. Citizenship is obtained either by birth in the U.S or birth abroad to a U.S. parent or parents and derivation through parents. You can also obtain citizenship through naturalization if you have been a permanent resident for at least five years or have been a permanent resident for 3 years and married to a U.S. citizen spouse and meet all eligibility requirements. 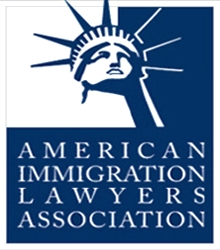 U.S. citizens may live and work in the U.S. permanently, and cannot lose their citizenship status by extended travel abroad. U.S. citizens have many benefits and privileges, including the privilege of voting in U.S. elections, petitioning for the permanent resident status for their parents, spouses, children, brothers and sisters. Contact the Law Office of EBERE N. EKECHUKWU & ASSOCIATES, P.C. today at (312) 362-9844 and we will explain to you your eligibility, the requirements, guide you, prepare and file all the applications and attend the interview with you at the USCIS office.